Choose from the best bisulfite conversion kits selection available, featuring streamlined workflows, ≥99% conversion rates, and low elution volumes for concentrated, bisulfite-converted DNA. Input Cells & Tissues Directly! 12 - 16 hr. 3 hr. 1.5 hr. 4 hr. 4 hr. Discover the fastest bisulfite conversion kit with the most efficient method for complete bisulfite conversion of DNA for methylation analysis. 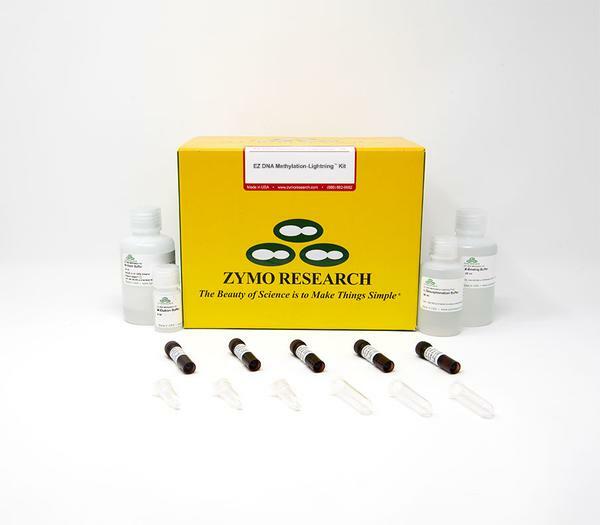 A complete and reliable bisulfite conversion kit that eliminates cumbersome DNA precipitation steps and allows DNA bisulfite conversion directly from blood, tissue, and cells without prior DNA purification. 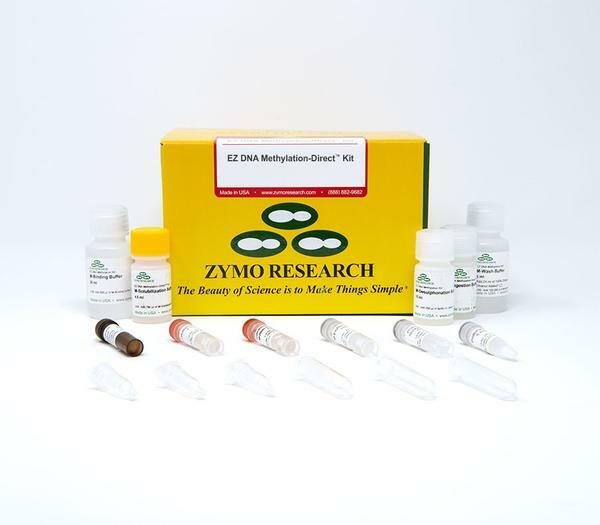 The EZ DNA Methylation-Gold™ Kit is a refinement of our popular EZ DNA Methylation™ kits. These products consolidate DNA denaturation and bisulfite conversion processes into one step, leading to a much faster bisulfite conversion. An all-inclusive kit for bisulfite conversion of DNA directly from blood, tissues, and cells, and PCR reagents and controls to assess conversion efficiency. 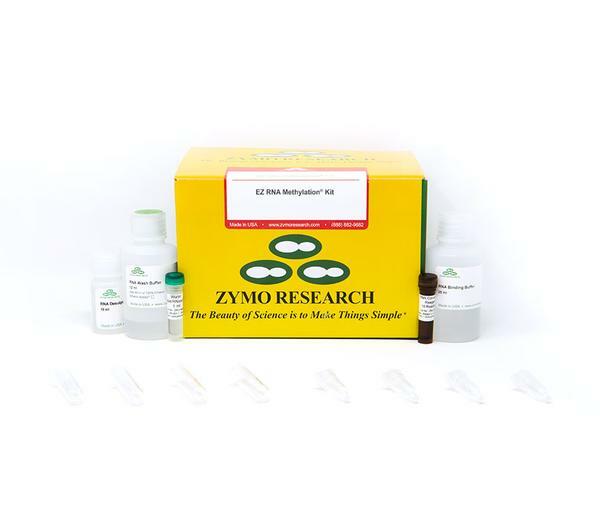 The EZ DNA Methylation Kits features a simplified procedure that streamlines bisulfite treatment of DNA. 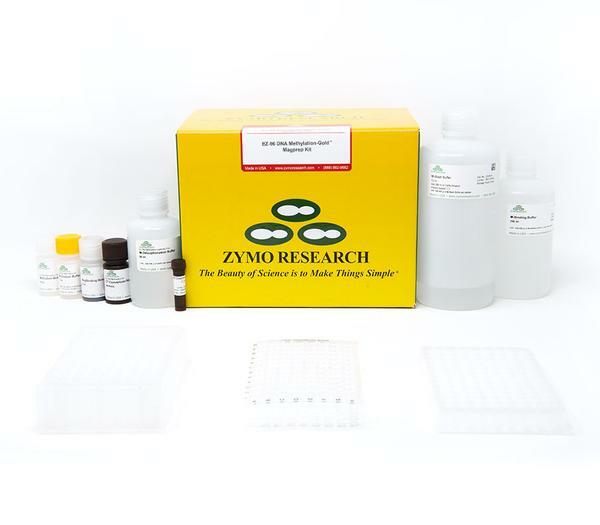 The EZ RNA Methylation Kits feature rapid and reliable bisulfite conversion of cytosines in RNA for methylation analysis. Sodium bisulfite conversion of DNA is the fastest, easiest, and most popular way to study DNA methylation analysis and selecting the right bisulfite conversion kit can be the difference between accurate data and frustrating wasted hours spent in the lab. Choosing a bisulfite conversion kit is an important step in DNA methylation studies to ensure that you obtain the highest quality bisulfite-converted DNA possible going into downstream applications. 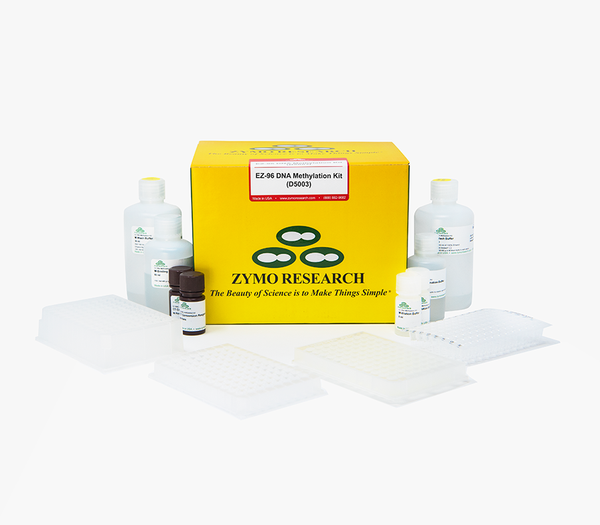 Zymo Research has the best bisulfite conversion kits selection available, featuring streamlined workflows, ≥ 99&percnt; conversion rates, and low elution volumes for concentrated, bisulfite-converted DNA. The purified bisulfite-converted DNA is ideal for bisulfite-PCR, library preparations, sequencing, etc.